Philippe Coudari was born in March 1956 in Aleppo, Syria, to a French father and an Armenian mother. The same year his family moved to Montreal, Quebec, where he is still living. He feels privileged to have grown up at the crossroads of the European, Mediterranean and North American cultures and traditions. He went into Pure Sciences and Graphic Arts Studies. He obtained a Business Administration degree at the University of Quebec in Montreal. He held different jobs in different fields of activities. It was in 1992 that he discovered sculpting, quite by accident, when a friend asked him to attend a course with him. This is when something clicked inside and at thirty-six years of age he became enamored with sculpture. Largely self-taught, he developed his own methods with clay such as forming and modeling with a stick, an idea that came from the artist painter and sculptor Dù Reng Sang. Although Coudari is very attached to the human figure, he rarely works with a live model. Since 1994 he traveled numerous times to Europe and the United States where he visited many museums, exhibitions and artists’ studios. 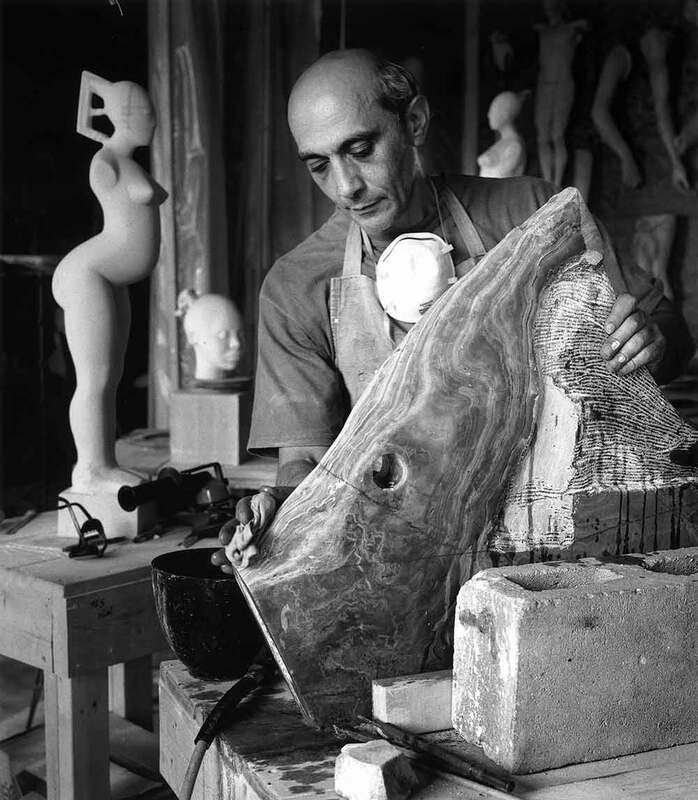 Between 1998 – 99 he had several short stays at Roseline Granet studio (Meudon, France) who initiated him to her plaster and wax technique. In 2001 and 2002 he worked in the Pietrasanta (Italy) at Wröbehl, Francesconi and Palla studios. It is there that he was introduced to marble and began to integrate it into his work. In 2007 he attended a workshop with the sculptor Roger Langevin on composite materials applied to monumental sculpture, at the University of Quebec in Rimouski. That same year he developed his technique with wax, the material he has since used for modeling work. In 2012, he designed and developed a unique sculpture course, open to beginners and advanced sculptors.